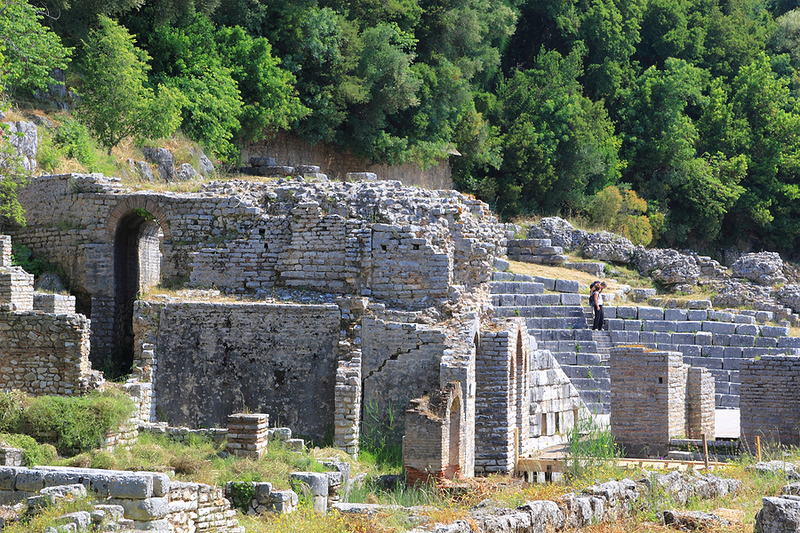 Butrint, known in ancient times as Buthrotum, was an active busy trading and fishing port from Hellenistic to Ottoman times and is a very interesting stop to include while on a crewed yacht charter through the Greek Ionian Islands. Now a UNESCO World Heritage Site, this site has been being excavated for the last 12 years and today is a fabulous unfolding historical archeological site. 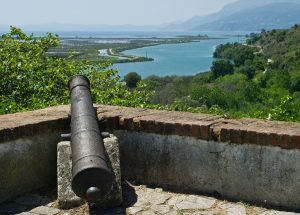 Although in Albania, Butrint can be visited by crossing from Corfu by hydrofoil or by ship’s tender when stopped in Corfu on a crewed yacht charter. Located on a Peninsula extending into Lake Butrint, the town site was an important location through history with archeological finds excavated in the area from as far back as 100,000 BC, when the lake is believed to have been a bay open to the ocean. Over the thousands of years, the opening to the ocean silted in creating very fertile flood planes with a river, known as the Vivari Channel running between the lake and the ocean. This area was very productive providing an excellent home over the centuries for various civilizations gaining wealth througho fishing and agriculture. 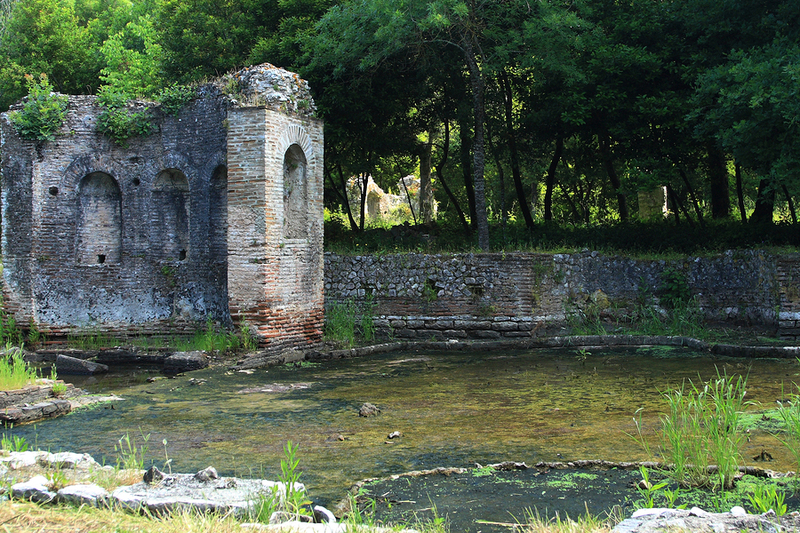 In Ancient Times, Butrint became well known as the location for a healing sanctuary dedicated to Asclepius, the god of medicine, founded in the 4th century where many came to be healed by the waters. In 44BC, after visiting, Caesar designated this town a Roman colonial city. 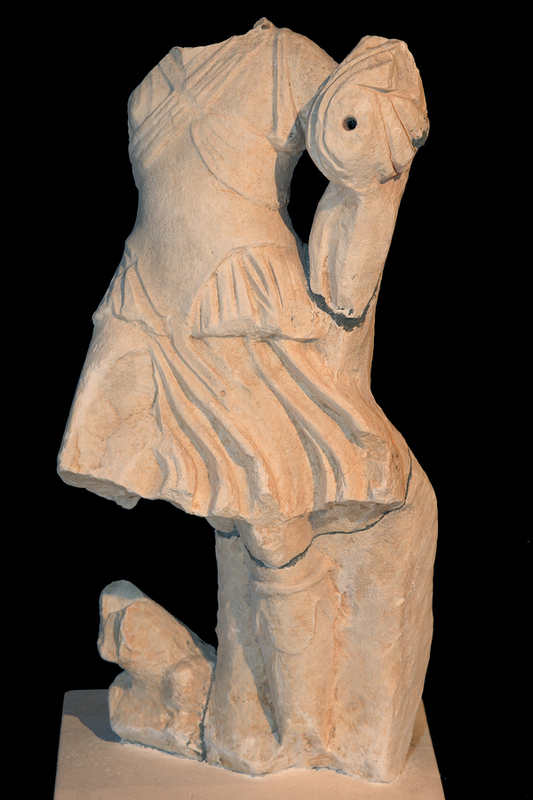 Under Caesar’s adopted son’s rule, Augustus, great Roman building works were instigated including an aqueduct to bring water for fountains, and bath houses, and the creation of a lovely city-scape with a large forum, gymnasium and theatre, along with villas and palaces for the wealthy. 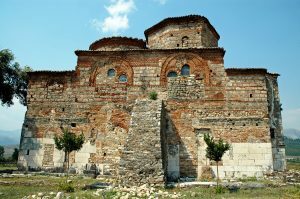 By the 5th century AD, Christianity was established and large basilicas were built or created within previously built structures. 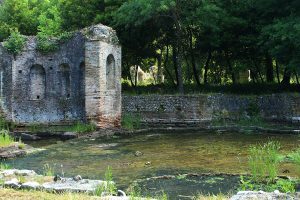 Butrint was then ruled in succession by Slavs, Byzantines, and Angevins. In 1386, the Venetian Republic purchased the area from the Angevin Kings and held control of this town and the island of Corfu just across the straits until the fall of the Venetian Empire in the late 1700’s. After the late 1700’s, the area fell under Ottoman Rule until Albanian Independence was declared in 1912. The National Park area is open year around from 8:00am until dusk and the Museum on site is open year around from 8:00am to 4:00pm. The port of Saranda, near Butrint, is an international clearance port, so the site is easily visited by all nationalities. 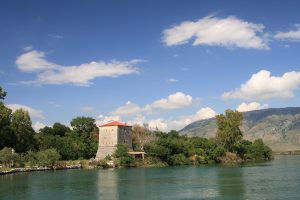 Most visitors do not need a Visa for Albania, however be sure to still check if a Visa is needed. Today, visiting Butrint, one can walk around the peninsula where excavations from the various civilizations throughout time are ongoing, and visit the museum housing many artifacts discovered on site during the excavations. Stop in Corfu and zip across the straits to Saranda or come into Saranda while on a crewed yacht charter for a visit to the UNESCO World Heritage site of Butrint.